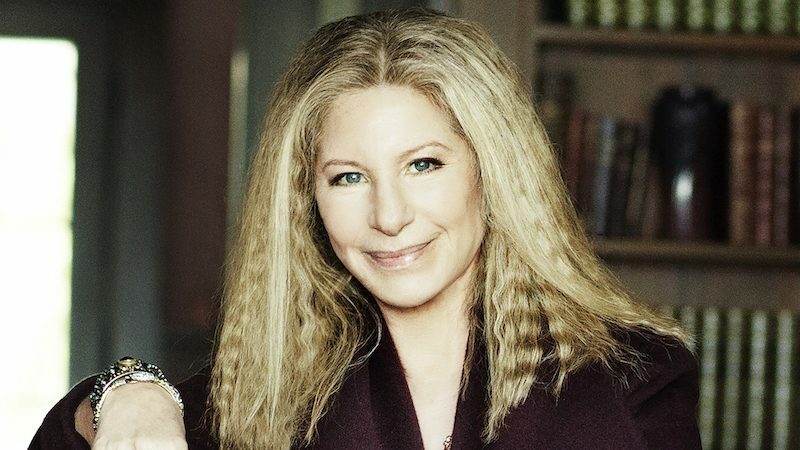 NPR posted an audio interview with singer Barbra Streisand over the weekend, focusing on Streisand's North American tour of her new album Encore: Movie Partners Sing Broadway. In the middle of the 8-minute interview Apple gets mentioned briefly, specifically regarding the way that voice assistant Siri has mispronounced Streisand's name over the last five years. Siri uses a hard 'z' sound when saying the second 's' in Streisand, so the singer took it upon herself to ask Apple CEO Tim Cook to get the company to correct the error in Siri's language. Cook was said to respond with an agreement to fix the issue in "the next update," supposedly referring to iOS 10. "She pronounces my name wrong. Streisand with a soft 's' like sand on the beach, I've been saying this for my whole career. And so what did I do? I called the head of Apple, Tim Cook, and he delightfully agreed to have Siri change the pronunciation of my name finally, with the next update on September 30th. So let's see if that happens, because I will be thrilled." It's unlikely Cook so readily divulged the release date of iOS 10, which is expected to launch earlier than the date mentioned by Streisand. The release for the iPhone 7 and iPhone 7 Plus could be on September 16 or September 23, according to recent rumors, meaning iOS 10 would launch within a similar timeframe. When you have so much ego you can worry about the asinine.... with a soft S of course. "Sure thing Brabar!" said Tim. What's his number? I've got at least a dozen things I'd like to complain about. Actually, it's a fun little story. Not everything article has to be deep and heavy. Kudos to Macrumors for picking it up. Oh, and "What's Up, Doc?" remains one of my favorite movies of all time. Streisand is magnificent in it (as are the rest of the cast). It's printed on the bottom of your Oscar and Grammy. Thank you so much for that history lesson on Barb! I feel more educated and enlightened now. Could you provide me any other life lessons on Barbie's biography? I can't wait to share this information with my friends. Thank you so much for taking the time to explain. Since you asked, now twice, who she is I'll be glad to post links for you (hey, if you can be snarky about her, I can be snarky in my response, huh?). "Barbra Streisand is the highest-selling female recording artist of all time, and has won awards and acclaim in every medium that she's worked in." Named the best-selling female singer of the 20th century. She has sold more than 68 million records, with 47 Gold, 28 Platinum and 13 Multi-Platinum. "After a 27-year absence, Barbra Streisand returned to the concert stage in 1994. Her performance resulted in the Top 10, million-selling album, The Concert. The tour itself generated over $10 million for charities, including AIDS organizations, women and children in jeopardy, Jewish/Arab relations, and agencies working to improve relations between African-Americans and Jews. Streisand's philanthropy and activism also extends to her Barwood Film's productions, such as The Long Island Incident, which inspired a national debate on gun control." "Second single largest grossing American concert engagement, with $16.6 million, seven performances, Madison Square Garden, 1994 (#1: $19 million, Bruce Springsteen ('http://www.imdb.com/name/nm0819803?ref_=nmbio_trv_26') & The E Street Band, 15 performances, Continental Airlines Arena, 1999)." "Only artist to receive Oscar, Tony, Emmy, Grammy, Golden Globe, CableACE and Peabody awards."